Arches of the Bay. Sunrise leas us through the arches. Overhead, San Francisco's sky is an opal of swirling colors. 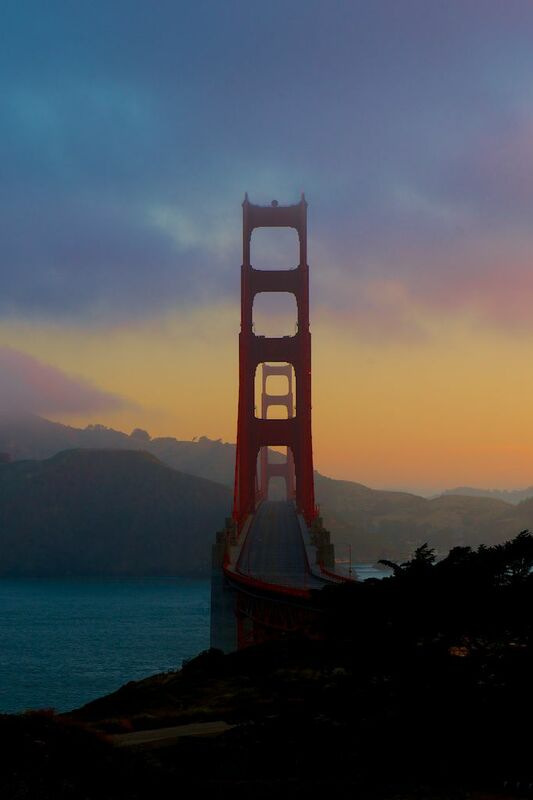 We follow where the bridge leads, passing the golden cables that reach skyward.